I have not been reading iranian.com or contributing to it for a while and I have left it alone except someone sent me a copy of their reply to a piece called “The rest” recently. Reading it was very distressing as it confirmed the continuing trend to give the term Persia or Persian a racial connotation. Such misrepresentation of Iran and its culture cannot go unanswered. “The rest” in my view should not have been published because of its inaccuracies and underlying scandalous attempt to misrepresent the term Persian as a racial term. 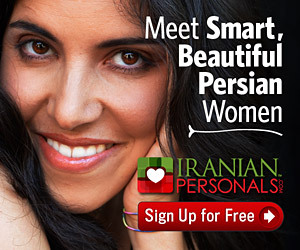 There is nothing racist about to calling oneself Persian, there have never been and there never will be. Although there seems to be a continuing effort by some in the West, Islamists in Iran and elsewhere as well as those Iranians not old enough to come under the influence. After the name change in the late 1930&apos;s requested by Iranian government, there has been a certain tendency, specifically by some of the Western scholars to reserve the term Persian to describe ancient Iranians of whom if the truth be told we know next to nothing, thereby making it into a racial term. In recent times this has been propagated and further fuelled by Islamists for obvious reasons. The proposition that Persian is anything other than a term of historical geographical reference is total nonsense and all Iranian patriots we must resist the concept regardless of ethnic origin. Persia is simply the term that was used by Latin cultures or Western countries to describe our country THROUGHOUT history till the middle of last century. IT IS THE NAME OF A LAND, NOT A RACE. For centuries it has not had any racial connotations (other than Iran&apos;s enemies, the Arab came up with such terms as Ajam) and anyone who says it does is playing into the hands of those who wish to divide and rule the Iranians. If you want to play the imperialists&apos; game then you should argue that there is more racial connotation in the name Iran &apos;the land of Aryans&apos; than Persia. But I don&apos;t even want to go there because the whole idea of playing the racist card is abhorrent. Just consider this, prior to the name change in the West say a hundred years ago anyone coming from Iran regardless of their ethnic background would introduce themselves as coming from Persia and therefore a Persian. Persia was known as an oriental country of mixed races. How can we ignore at one stroke of revisionism all the wealth of maps and documents in the West about our recent and not ancient history? Which nation in the world is prepared to give up the heritage of its future generations like we are? It is indeed absolutely ridiclous to either think or suggest that the ancient Perisan race has survived to this day or for anyone to be mad enough to claim Persian purity after centuries of different nations ruling Iran. It should be treated with contempt, derision and ridicule that such a proposition deserves. As you know, most of Indian middle class used to claim to be Parsees or Persians (not so much now that Iran is part of the “Axis of Evil”). I remember being lectured by one about it and then on the same breath being told that Persian cooking is too bland. No Iranian can trace their ancestry more that a few generations at best owing to the lack of records and the fact that our country has been a melting pot of different races throughout the ages. On one side of my family, I can trace some of my roots for two centuries perhaps three at best. I only parts. I am part Semitic (known only because the one Jewish ancestor converted to Islam), part Kurd, and part Azari. This is at best sketchy and impossible to prove. Given the constant changes in Iranian history there are simply no tradition of keeping records. No one can really tell us who these ancient “Persian” races alluded to are, because we have no written history of our own. But using such subtle arguments or classification of Persian as a racial term the enemies of Iran have clearly confused us about our identity. If our forefathers were not so blinded by their sense of outrage against the British colonialism they would have never changed the country&apos;s name and without realising it broken the link between the country&apos;s name, Persian Language, Persian Culture and last but not least the Persian Gulf. I don&apos;t know where you are but you can kiss the latter good bye if you live in Europe. I recently noticed yet another example: the Times World Atlas has finally relented to Arab nationalist pressure and changed the historical name of Persian Gulf to The Gulf (and they are being neutral!). You don&apos;t have to worry about eradicating the term Persian as the European media is doing a good job. It is partly because of this that I believe we should not let the term Persian die. It is sad that Iranians despite good intentions play to the hands of foreigners without even recognising it. We have suffered enough revisions of our history in the hands of tyrants to suit their aims, so now please do not play into their hand or foreigners&apos; hands by making Persian a racial term. One thing we should be proud of is the lack of racial divide in Iran or Persia (compared to other countries or in the West). Iranian or Persian are interchangeable terms. I have never afraid to call myself Iranian or to call Iran by any other name, neither have I sought to hide it, because that is the – modern (as far as the West is concerned) – name of our country. I will invite all Iranians to fight to preserve the term Persian in order to preserve the link to our past and culture as it was known in the world for centuries. Finally I would like to leave you with a message left on Persian Gulf Online, if a foreigner can see it why can&apos;t we? Subject: Persian Gulf without Persia? Many of you are investing valuable time in what seems a lost cause. While I understand your pride in the Persian Guld name you going about it the wrong way! First, you are aproaching the so called &apos;abusers&apos; with abusive language which in itself does not help you cause. Secondly, you do not accept any reasonable explanation for the use of Gulf or Arabian Gulf with kindness. Your best route to get the Arabian Gulf officially renamed &apos;Persian Gulf&apos; is to change the name of Iran back to Persia – now this is something that you should concentrate on with perhaps more success! Once you have done this, I am sure that the world would be keener to rename all their geographical references to the Gulf or Arabina Gulf into Persian Gulf. At the moment, Persia does not exist, and so, how can a non-existent country &apos;own&apos; or give its name to a gulf?